If you haven’t spent all of your pity on walking tragedy Chris Davis, whose hitless streak reached 50 at-bats last night, spare some for Nationals reliever Trevor Rosenthal. After missing an entire season to Tommy John surgery and getting released by the Cardinals, Rosenthal landed in Washington this offseason with the hopes of getting his career back on track. He’s not quite there yet. 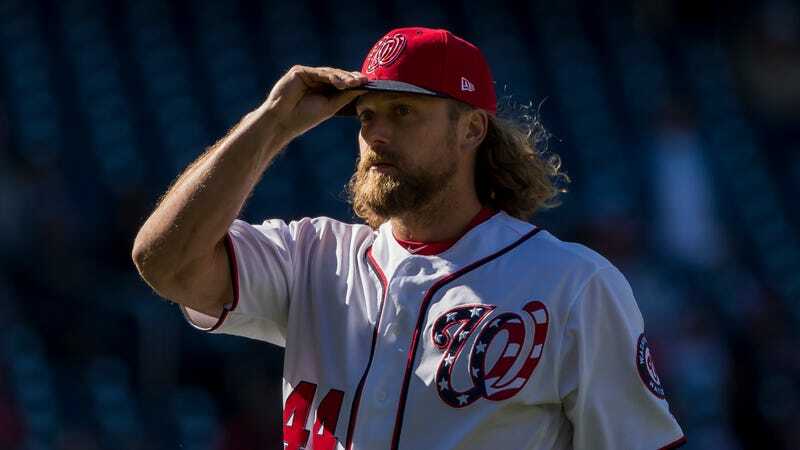 Before last night’s game against the Phillies, Rosenthal had made four appearances out of the Nationals’ bullpen, and had recorded exactly zero outs. All nine of the batters he’d faced had reached base, and seven of them had come around to score. This left Rosenthal with an ERA of infinity. If there was any hope that wriggling out from under the weight of an infinite ERA would suddenly free Rosenthal’s body and mind and allow him to once again become a functional pitcher, it didn’t last long. 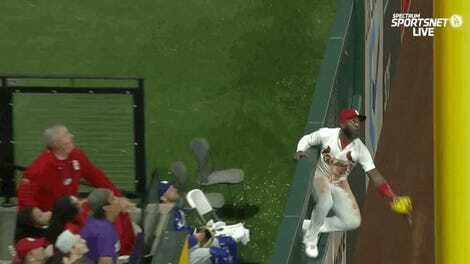 Rosenthal walked the next two batters to load the bases, surrendered a run on a fielder’s choice, and then finally ended the game by getting Aaron Altherr to fly out to right. Rosenthal got the first step out of the way, which was to get his ERA expressed as a real number. It’s at 72.00 now.